Jaxx Guevarra is 29yr old avid cigar smoker. Starting off as an Interior Designer, she frequented cigar shops/lounges to unwind from her day. In 2010 she picked up a weekend part time job as a retail tobacconist who eventually learned more and more about cigars from other smokers, cigar reps, and manufactures. 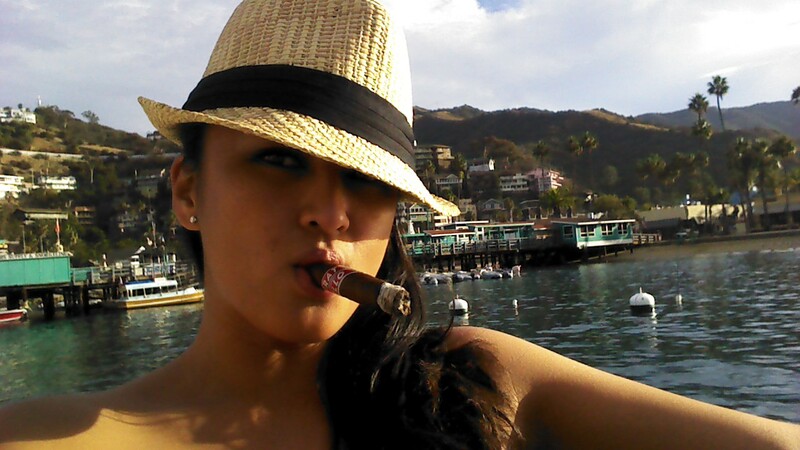 Moving back to Nevada in 2013, she put down Interior Design and became General Manager of La Casa De La Habana Cigar, Bar, & Music lounge in Las Vegas; making her favorite hobby a career. 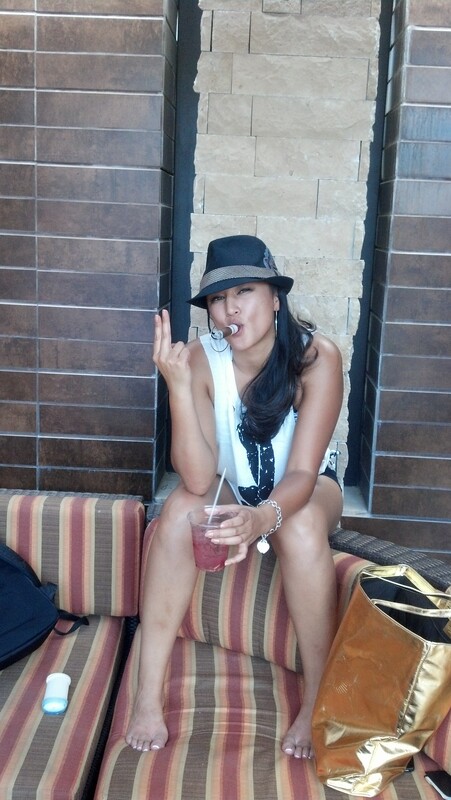 The first time I ever smoked a cigar was New Years Eve 2002 in Las Vegas when I was 18yrs old. I couldn’t get into any bars or Nightclubs so my only option was to walk up & down Las Vegas Blvd. I was with my girlfriends and we decided to buy & smoke cigars from a bootleg street vendor. I made myself sick to my stomach with that first cigar. I had no idea I wasn’t suppose to inhale. But the reactions & responses we got from puffing on a cigar was intriguing, and I think its because “women” smoking cigars are slightly taboo … and I loved it. I got really heavy into smoking cigars in 2010 (when I moved back to California). Having time to re evaluate my life and career and my future I needed the space to think and relax. I’m all for meditating (if I could ever quiet my mind to do it) but I found that sitting back with a drink and good smoke put me in a state of mind where I could relax and unwind. It was my escape. My moment for myself. And even if I could find a nice lounge to smoke in, it was my social place where I found those with a common interest. (Which was cigars). Depending on the circumstance or situation (such as an event or cigar related occasion) I would smoke 3+ more during those times. On average, I smoke 2 per day. Maybe one in the early morning w/ coffee and another in the evening. Or, if I have a long late evening, I’ll smoke a couple cigars back to back. I have been blessed to experience many cigar lounges all around the country, coast to coast. And the experience to meet amazing industry people and light one up with them while picking their brain. But, I must admit, the best place I have smoked a cigar is in the backyard, late night on a warm summer night. In the hot tub. With a great cigar, Zaya rum on the rocks, & a companion to share conversation and cigar experience with. The second on my list is Casa Belicoso Cigar Lounge 3 yr anniversary celebration with Padron Cigar and Duckhorn Winery held in Napa Valley in the vineyard with a temporary lounge created outdoors served with Food, Wine, & Cigars. Truly a spectacular event. I’m typically a punch kinda chick. I like the clean neat cut that allows me to smoke it all the way down to the end without the cigar falling apart. Although, lately I’ve favored the V-cut. I love the medium draw it gives especially with V-cutting a torpedo. The punch is the most convenient to carry around opposed to any other cutter … as if I don’t have enough things to carry around in my purse. When I’m smoking I feel extremely relaxed. Almost like I just pressed pause in my life and all my thoughts and worries are on the back burner. The negative effect is that time flies by when enjoying a cigar and easily 2-4 hours just pass me by. Even when I have a morning smoke, it will typically be about 11 am. I enjoy a light cigar with a cup of coffee. Iced or warm coffee, it pairs well with a Maduro or Connecticut shade. When anyone asks me what my favorite cigar is, my answer is always : it depends what I’m drinking. Just as certain drinks pair well with a meal, I feel the same about pairing my drink with a cigar. I have a flavor preference for Maduro shade cigars; such as Padron Anniversary Series, Kristoff Maduros, and even the sweet Maduro Javas. I think Jaxx is a very good cigar smoker. I like very much her words. I wish to share a cigar with her, one day. Good ashes to you, Jaxx. 3 Responses to "“Jaxx Guevarra„"